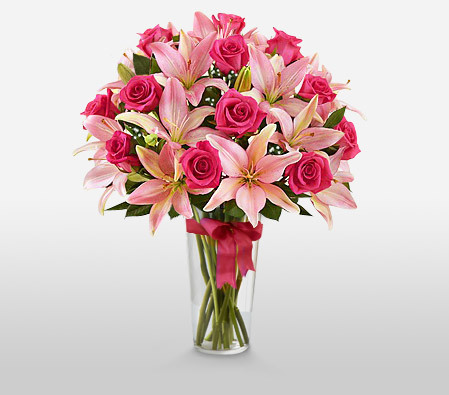 Beautiful bouquet of 5 pink lilies amongst 12 long pink roses, arranged in tall glass vase, simply perfect for any occasion. 8am to 7pm Monday to Saturday. © 2017 McgrathsHillFlorist.com.au All Rights Reserved.